To experience a full life, be here now. The present moment is the gift revealed to us when we are fully aware, grounded and full of gratitude. Be in the moment to fully experience joy and freedom. Learning to become grounded in life through balance, routine and harmony creates an experience of living that reflects one of joy and peace. A life worth living is one of freedom and ultimately love. One recent night I dreamed of the dolphin kingdom. The dream touched my soul on a very profound level. The dream was so 'real' I could actually physically feel what was happening and going on through my body. However, not just my body was touched and changed but the experience of the dream touched my heart and literally brought me 'awake' in a spiritual sense which brought profound peace. My entire being understands now what it is I need to do. The dream revealed so much relating to my current life and I am grateful for the dream because of this. Sometimes we just need a sign to feel validated and that is what the sea angel did for me in that dream. That little bottle nose dolphin being in my dream invoked a powerful awareness that life is in the moments we live. I found myself laying atop a body of water on my back, almost like sivasana pose at the end of a yoga practice. I wasn't consciously in wake state, I was in a deep sleep- a dream state. I remember feeling completely at peace, calm, safe and nurtured. Above all, I felt unconditionally loved. It was a profound experience in that I was seeing myself sleeping and I was floating above the water on top of what seemed like a yoga mat which somehow was keeping me above water. Suddenly I feel a nudge gently on my back as if tapping me to say wake up, you are here. Beneath the surface was a joyful face I knew before, I acknowledged the sea angel and gently sighed, took my hand and patted its nose then fell back into a deep sleep. The experience was beautiful. There are no words. Kind of like a persons spiritual journey of transformation. How can you put into words the journey? How can you explain something that touches your soul to such a depth that takes your whole being and fills it with something everlasting? Thank you, beauties, for appearing in my dreams to say Namaste'. To become involved with the Swan Canning River park and efforts to protect the precious creatures within it please join the Swan River Trust. 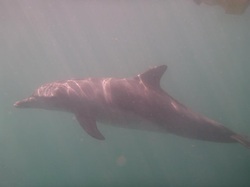 There are volunteer programmes to become a river guardian or a dolphin watcher. Both programmes allow for observations to be entered online and all information will be used for research and for the improvement of the quality of life for the river and the creatures which inhabit it. I was asked a question by a friend yesterday that made me realize my innate ability to listen to my own divine intuition. Immediately I knew, within, the answer to the question but of course my human mind stopped to 'think'. The intuitive answer was profound, it was instant, it was full of love. It was Spirit who interceded. She asked, "At what age do you want to die"? Immediately my southern draw and natural instinct said, "Whenever the good Lord or Spirit within me decides". Instead of piping out these words, I paused and just listened to her opinions then said quietly that I was thankful for the privilege of living. Truth is, I am thankful everyday for the honor to be on the Earth in the physical form because I feel I can truly make a difference. Every soul has something to offer no matter if the soul is five days old or one hundred and five years old. I do not know the number of days I'll be here but I do know the enormity of love I feel for this life I was privileged to embody. I will use it well and I am thankful for every soul who walks upon it. Every soul who has touched my life and I theirs. My body may fail, I may be in pain at times but that is a consequence of life. To be able to choose joy through this journey of life no matter what the issue, condition or circumstance is a courageous decision. In my opinion, it is the only decision I have if I want to live fully everyday until the day comes and my physical body leaves this Earth. Until that day, I will walk in faith, heart open and thankful for every blessed second I have left here on Earth to serve, to be present and to love. Enlightenment comes to those who respect and honor themselves, which is ultimately the divine source of love shared within all, the whole of humanity and the universe together. This sole action of deep respect, in itself, is a universal practice of authenticity, understanding and love wrapped up into one big gift of peaceful, calm and enlightened love. Dealing through your own issues takes tons of courage but know that you can do it and during this time of shift as we prepare ourselves for something new with the fullness of the moon and the season, may you find the energy to give love to yourself and may that love be shared out into the universe freely. Free yourself today and give love. 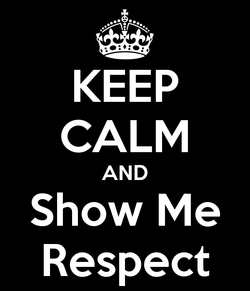 Give some respect. Allow that dash of peace overflow into tomorrow. The power of focused intention, prayer and collective action is an urgent fight at the moment in regards to the elephant kingdom. Through years of spiritual practice I've learned that going with the flow of grace is a powerful practice but that when the time comes we must stand up for what is truth, act and sometimes fight for what is right. I ask of you to join me in this urgency, to share in this call to shed truth and light about what is happening to the largest pachyderm on Earth. The truth is, ten years from now, the majestic elephant could be extinct at the rate these beautiful animals are being tragically killed. My prayer today is directed towards Nairobi Kenya and the whole of China. Why? Because both of these places are faced with intense negativity. Coming together, infusing these places with light, love and positive intention for a shift in consciousness is a loving action you can do to help right now. The other 5 major things you can do to help shed truth and light about the concern for elephant safety are imperative and I have listed them for your ease and I ask that you join me today in securing their future. 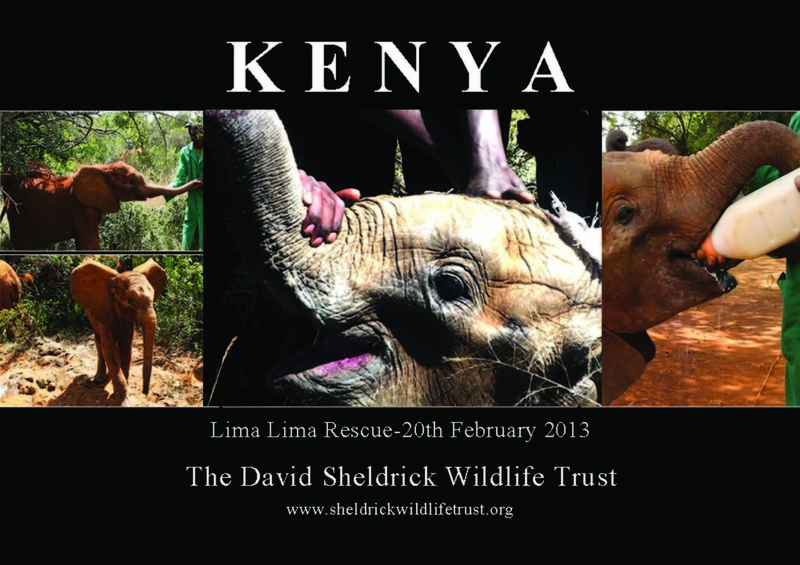 Lima Lima, the latest orphan to be brought to safety and nursed to health at the David Sheldrick Wildlife Trust and nursed thanks you in advance. Which elephant's story touches your heart? The energy of January has settled in. Feeling moved to act upon those commitments made and feeling more energy to actually follow up on those actions. A daily routine is so important in making progress toward the direction of any positive outcome. I have felt a strong need to make order in my life to have more time to focus on things that need nurturing and things that actually need to be followed through to completion. Life often meets us with a lot of chaos especially when we might not be as balanced as we should be or as stable as we should be. But who says how we should be? Be your own authority figure in your own life. Make your own choices and be free! I chose a new life. A new way of being, one of being fully present and alive with what is important to me. One of the things which are important to me is to support and be a voice for global issues. Since I can remember elephants have always been close to my heart. These giant, majestic creatures are in real danger and have been for a very long time. This is deeply troubling and worrisome to my soul. Please help me to share this message of hope to everyone. My commitment to writing blogs are not just to share education, spiritual inspiration and stories but to actually try to connect and make a difference for global issues, especially regarding animals. The David Sheldrick Wildlife Trust has been making a difference for animals, especially elephants, since 1977. I encourage you to read about what they are doing and to make note that in as short as 8 steps you can make a difference for the elephants. Just click HERE to sign the petition to SAY NO TO IVORY TRADE to begin the first step. Thank you, you have just helped to protect the future of the elephants. January often holds a sense of re commitment to become more whole in who we are and to make a positive difference in our lives physically. What about the other aspects of our lives? What about our emotional health, our spiritual selves, our mental health and our pursuit of happiness through finding out what it is that is our life’s truest calling? Well, the title of this month’s blog is called iworry & iremember because I feel that through reflection, life practice, study, research and by following my heart’s truest calling I know without a doubt in my whole being that I am here to serve. To serve in a way that is healing. To be a voice for beings on the planet who are instrumental in the survival of the whole universe. To be of service to those who can be healed by the life experiences I have lived and understand so as to understand humanity. I hope you find a call in your soul to help me spread the word for the majestic elephants who I so love and have since I was a young child. I hope you find comfort in the scriptures of the spirits who left us too soon. Remembering those we love and remembering to love each moment of life are indeed authentic gifts of life. I have always believed in a higher power and have believed that this guiding force has a divine plan for us all and I believe in this wholeheartedly. When loved ones leave us too soon it makes the road traveled by us still here on Earth wondering how we can manage without those dear to us by our side. Holding passages, scriptures, pictures, memories, stories and songs so dear to our hearts helps us heal. As humans it is our desire to be connected, nurtured and healed by the embrace of love. There is perfect timing and signs all around. Each new moment gives us the opportunity to choose a new way of responding to how we remember and connect with all around us. All we have to do is open to receive. I am very thankful for this life, for all the souls I have connected with, for the divine opportunity to serve and for the experience of light and love revealing itself fully within. May you be happy, may you be free and may you be at peace. “A good name is better than fine perfume. Than to go to a house of feasting. For death is the destiny of every man.